The Motorola Xoom was Moto's attempt at competing with the Apple iPad, a device that had been announced almost exactly one year previously. Announced at CES in January 2011, the Xoom was slightly better than the original iPad in terms of hardware specifications, and it was a bit cheaper. It also introduced Android 3.0, which had been especially designed for tablet devices. On top of that, it was a sleek looking device, so you might have expected it to be a success. Unfortunately, the Xoom wasn't the success that Motorola had hoped. 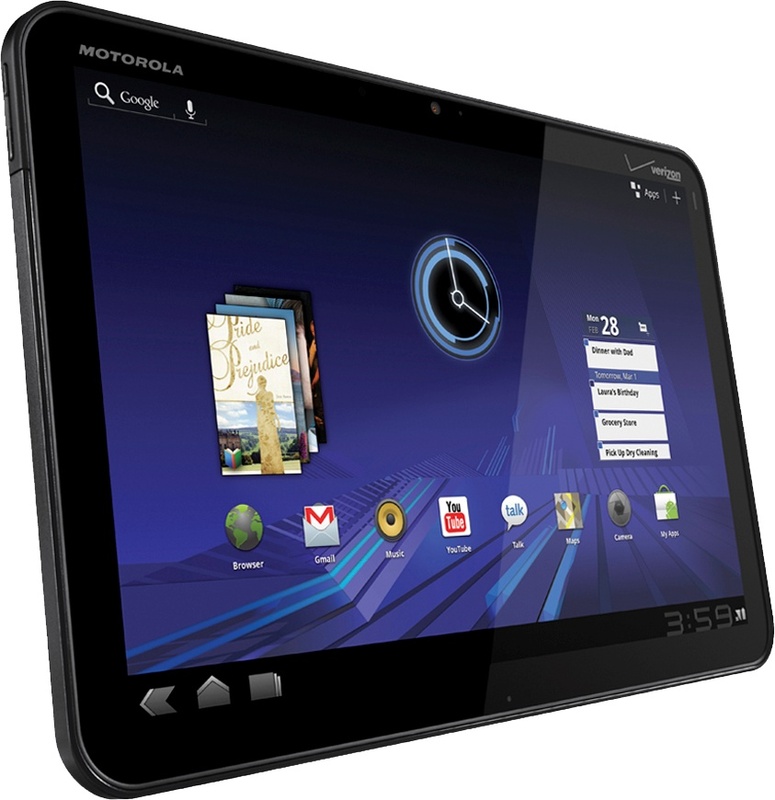 The Xoom had a 10.1" 1280 x 800 pixel display, a 5 megapixel primary camera and a 2 megapixel secondary one on the front. Inside was a dual-core 1GHz CPU with 1GB of RAM. It was a little heavier than the iPad, but overall everything was at least as good as the Apple product, if not better. Perhaps the software wasn't as polished as the iPad, but then surely it would appeal to the growing army of Android smartphone users? Lots of press coverage and advertising would surely help as well. Well.. not really, it turns out. Over the time the Xoom was on sale, it shipped perhaps 1.5 million units or so. But over a comparable period, the iPad shipped 15 million units. But the Xoom wasn't alone in lacklustre sales - interest in Android tablets overall remained low. Market researchers could speculate as to the reason why, but perhaps it boiled down to the fact that the Xoom cost quite a lot of money.. and people just preferred to by an iPad with that cash instead. Also, although the Xoom launched against the original iPad, the iPad 2 was announced in March 2011 which was thinner, lighter and faster than the original. This eroded the advantage that the Xoom originally had. The launch of the Xoom 2 in November 2011 brought a better product to market, but still it wasn't the breakthrough that Motorola had hoped. The Xoom 2 was Motorola's last attempt at a tablet. Eventually, Android did start to make inroads into the tablet market.. but a lot of that is based on the availability of very cheap devices. But when it comes to high-end premium tablets, Apple are still king.